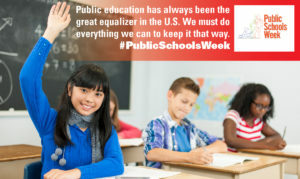 This past March, Tw itter imploded with the hashtag #PublicSchoolsWeek, drawing attention to our nation’s public schools. The hashtag was part of the “I Love Public Schools” campaign, an ongoing effort to highlight why public schools are essential to develop the future generations that will maintain our country’s status as a world leader. 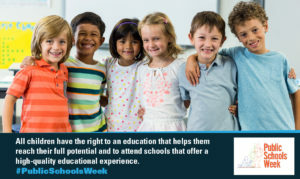 The campaign works to re-frame the current national dialogue around public education to highlight the critical role public schools play as the bedrock of our civic society and their work to prepare students to be successful, contributing members of their local, national and global communities. The campaign was launched by AASA, The School Superintendents Association, following the organization’s 2017 Legislative Advocacy Conference in Washington, D.C. where hundreds of superintendents—America’s foremost thought leaders in public education—discussed critical issues facing our schools. During the meeting, AASA’s Governing Board drafted, finalized and adopted the official resolution in support of the campaign. While the true intention of the campaign is to protect education funding from budget cuts and tax reform that includes tax credits which direct funding away from public schools, this campaign additionally created a platform for Americans to join together and express their strong feelings toward public education. Public schools truly deserve the recognition; 9 out of 10 American kids attends public school, and in many communities the school district is also the largest employer. We joined in the celebration of teachers, principals, superintendents, school board members, parents and everyone who plays a critical role in helping students succeed, because we’re proud to call them all colleagues. Now that #PublicSchoolsWeek has ended, will its impression fade as it leaves our Twitter feeds? We think not. Some people believe the processes we automate, such a s School Choice Lottery and Online Registration only last a week, too. Your registrars and administrators would echo us in saying that the process is ever ongoing, throughout the entire school year. There’s too much to appreciate about our public schools for a single week to encompass. Our mission is to celebrate and assist the public school districts we work with every single day, and we hope you will join us. The campaign website, www.lovepubliceducation.org, includes details on how anyone associated with advocating for the strength of public education can get involved. As the campaign unfolds over the year, this website will be your go-to source for information, resources and more. Diligently Update your Social Media Accounts – Not only is social media a great way to inform parents of scheduling updates and events at the district, it shows your students that you can embrace their lifestyles as much as you want them to embrace the district’s code of conduct. 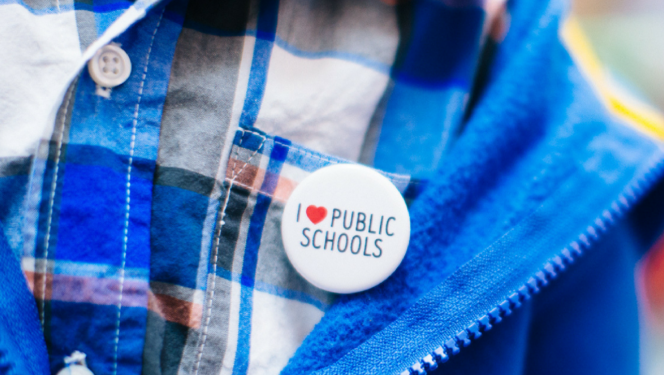 Adopt the I Love Public Education Message – Use the AASA toolkit to publish a press release, a letter to the parents, a letter to your school board, and post on social media in support of the movement to protect public education funding. Save Money for the Classroom – We know it’s easier said than done, but find places to cut your own spending and reinvest it in instruction. Nothing could bring a more positive result and attitude to your community. Check out this Clever Savings Case Study for some ideas. Protect Your Data – Not only is clean, secure data a mandate of FERPA and HIPAA, it is a sign of good faith to your district. Make sure access is permissioned accordingly to your staff, students and guardians. Check out this blog on equipping the district and training staff to protect network security. Increase Transparency – As much as student data deserves protection, your community is equally owed transparency in regards to district endeavors, conditions, and processes. One such process is placement in schools of choice, where unfair admissions processes are rampant across the country. Read more here about bringing transparency to this process.